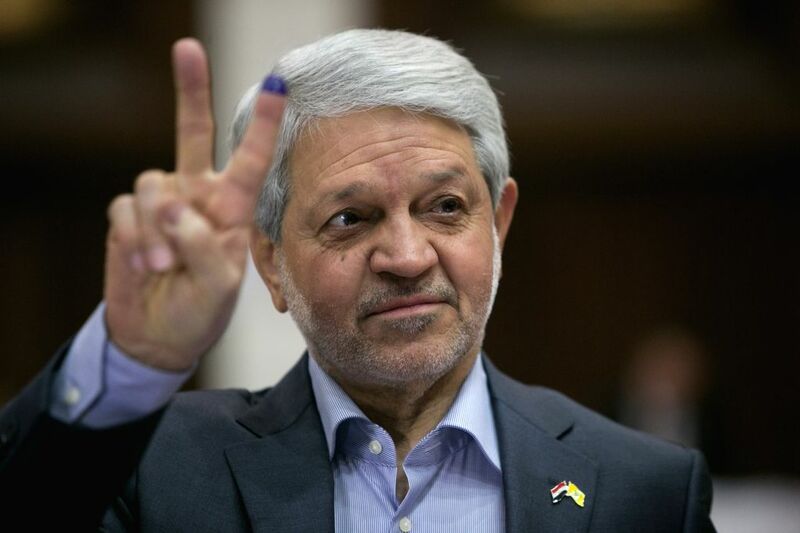 BAGHDAD, April 30, 2014 - Iraqi Vice President Khodair al-Khzaie shows his inked finger at a polling station in the green zone in Baghdad, Iraq, April 30, 2014. 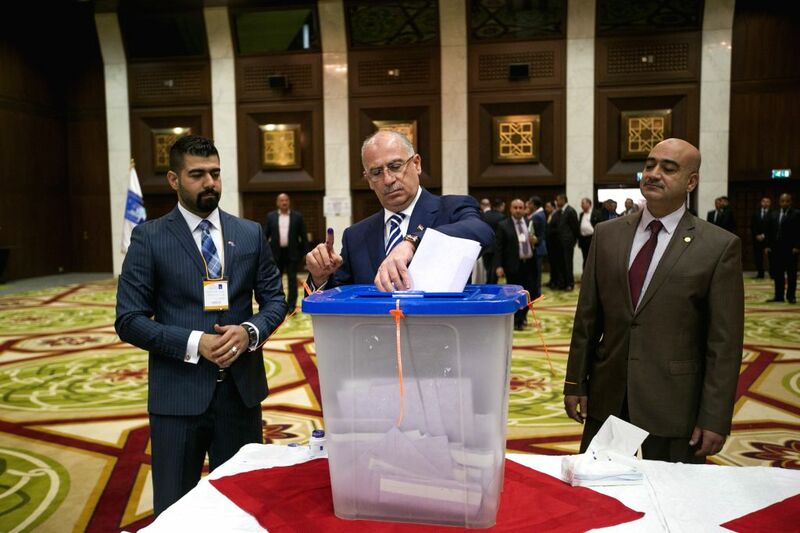 Iraqis began to cast their ballots Wednesday morning in the parliamentary elections, the first since the withdrawal of U.S. troops from the country by the end of 2011. 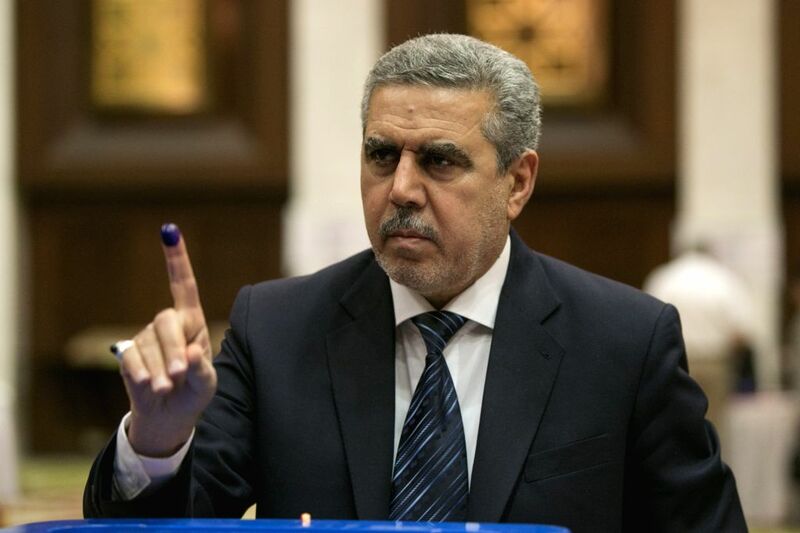 Baqir Jabr al-Zubeidi, the head of the citizen parliamentary bloc of Iraq, shows his inked finger at a polling station in the green zone in Baghdad, Iraq, April 30, 2014. Iraqi Parliament Speaker Osama al-Nujaifi casts his vote at a polling station in the green zone in Baghdad, Iraq, April 30, 2014.